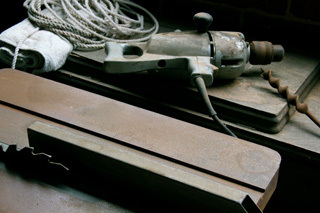 Over the years, many power tool manufacturers have been introduced onto the Australian market. Each have their own innovations, defining qualities and flagship products, with some having existed since the invention of the electric motor. They will all generally manipulate the durability, efficiency, safety and cost of their products to deliver products that satisfy one particular sector of the power tool market. It is then left up to you to choose what brand best suits your requirements. It is important to note that warranties provided by power tool manufacturers cover only faults associated with manufacturing and workmanship, and do not cover faults that arise from everyday wear and tear. There are two types of warranties – replacement and repair. Replacement warranties are usually found on lower quality tools and are extremely convenient – the problem with these warranties however is that years down the track, spare parts may not be readily available. Repair warranties are usually found on higher quality tools and offer the consumer the best support for spare parts – you will however have to be without your tool for a short period of time while it gets repaired (free of charge of course). All warranties will require you to retain your proof of purchase. Power tool manufacturers have an increasingly large presence in Australia, and the most prominent are featured below. These companies also commonly produce accessories for their tools, and in some cases machinery too. This section relates to the many manufacturers that exclusively produce machinery. Many power tool manufacturers also produce machinery (albeit light duty versions generally). These manufacturers exclusively produce accessories for power tools and machinery. The majority of power tool and machinery manufacturers mentioned above however will also produce a range of accessories for their tools.